If you have carpets, oriental rugs or furniture that has been damaged by smoke, flood, staining or pets, you don’t always need to replace them. Many times the odors and stains can be removed so the rugs or furniture can have years more use. 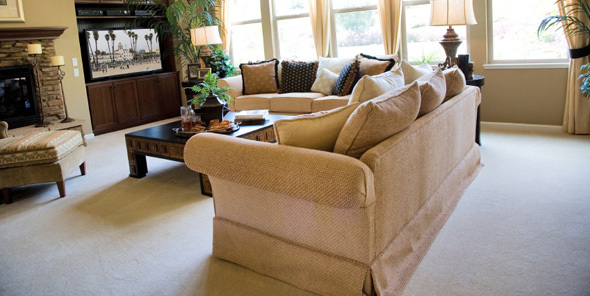 A good upholstery and carpet cleaning company like High Quality Carpet Cleaning of Lincoln Park can give you years more use from your rugs and upholstered furniture. Don’t give up on quality rugs and furniture until you have had an estimate on cleaning and restoring them. High Quality Carpet Cleaning LLC specializes in flood damage restoration and cleaning upholstered furniture, carpet and oriental rugs. This service goes far beyond a mere cleaning with a rug shampooing machine. High Quality Carpet Cleaning company uses a truck mounted carpet and upholstery cleaning system with superior equipment and the latest technology. A truck mounted system supplies intense heat rather than what comes out f your faucet. Higher pressure and better extraction capabilities are another feature of truck mounted cleaning systems. The Pro Chem systems used on the trucks use safe and efficient detergents and cleaning agents. Additives and conditioners not only protect your carpets and furniture, but are safe for the family and pets. With superior equipment and safe chemicals, we can eliminate odors, mildew, stains and residual detergents from past cleaning efforts, and disinfect your rugs and furniture. We condition rugs and furniture with scotch guard so they will be protected from future staining and soiling. After the cleaning and conditioning is complete, we use high quality drying equipment. All this is done without damage to fine upholstery and oriental rugs. High Quality Carpet Cleaning LLC is a highly regarded company with years of experience and certification by the Institute of Inspection, Cleaning and Restoration. Our cleaning professionals are highly trained, honest and courteous. We only hire the best, most dependable people and then give them further training in all aspects of the cleaning and restoration process. We will come to your home and give you a free consultation and estimate on cleaning your carpet, oriental rugs and, or upholstered furniture. You will find our prices very competitive in the Northern New Jersey area. Not only that, but you can ask for satisfied customer testimonials. To have the best customer satisfaction possible we offer services like 24 hour emergency services, insurance estimates, flood damage restoration, use safe, biodegradable products and much more. We are fully insured and owner operated. In addition to calling us on the phone , you can go to our web site at www.highqualitycarpet.com. We service Lincoln Park, Bound Brook, Greenbrook, Somerville and Whitehouse and all of the Northern New Jersey Area. When you have upholstered furniture , carpets or oriental rugs that need cleaning and restoration, call the best first. Do not fall victim to a company with inferior equipment and cleaning agents, or poorly trained employees. When you need cleaning services use the best, use High Quality Carpet Cleaning LLC. We do commercial as well as residential carpet and upholstered furniture cleaning.